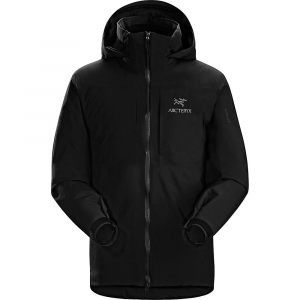 The Men's Outdoor Research Revy Hooded Insulated Jacket fends off the snow and wind whether you're tramping through the snow to work or admiring autumn foliage in the canyon. 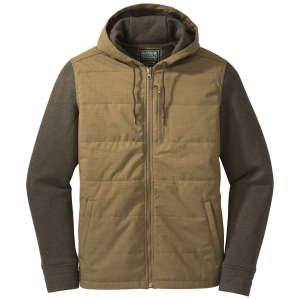 Insulation around the torso keeps your vitals warm and the Rain Cotton sleeves offer a good range of motion that still keeps you dry. 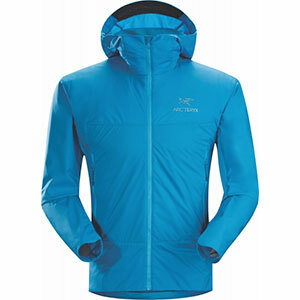 Outdoor Research Men's Apparel Clothing Revy Hoody - Men's-Charcoal-Medium 2539750890007. 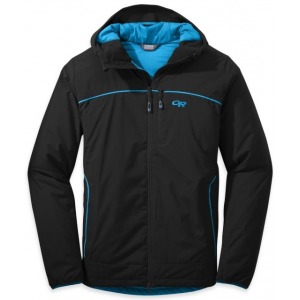 With a DWR (durable water resistant) coating super comfortable cotton poly blend fabric and classic hoody style this jacket is a great piece for all activities. 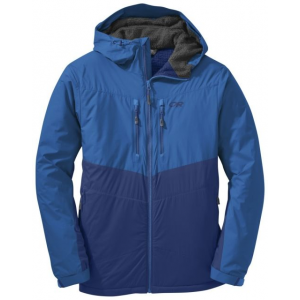 Boasting a Rain Cotton construction that looks and feels like your favorite hoodie, the Mens Revy Hooded Jacket from Outdoor Research features a durable water-repellent finish that keeps you dry on those days when the drizzle doesnt seem to want to stop. 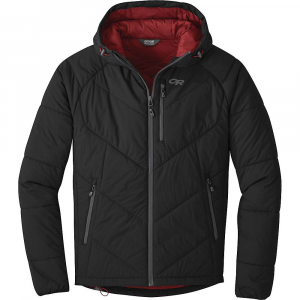 Lightweight design is ideal for layering. 86/14 cotton/polyester. Imported. Center back length: 29. Sizes: S-2XL. Colors: Black, Coyote, Dusk. Size: Regular. Color: Dusk. Gender: Male. Age Group: Adult. Material: Polyester. 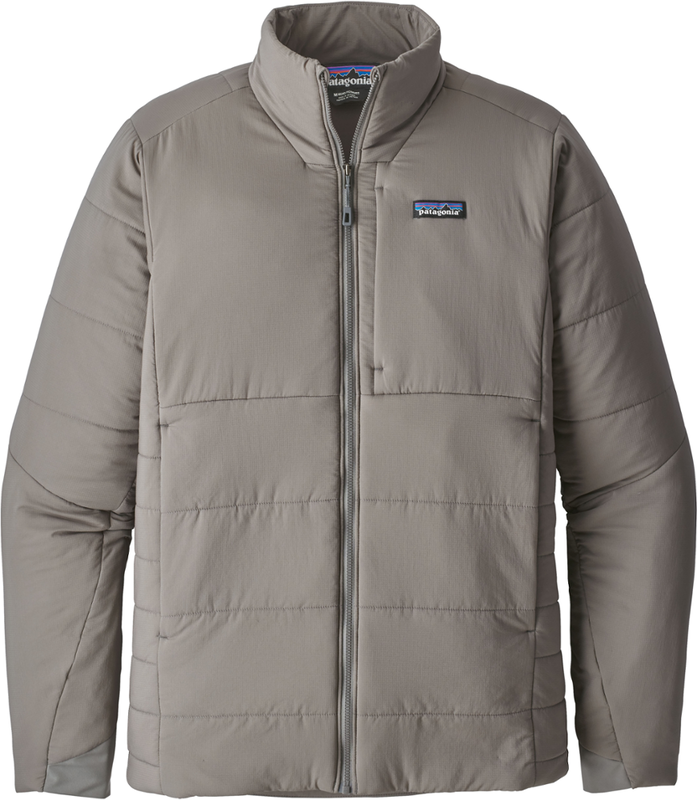 Type: Jackets.